2015 has seen quite a few interesting releases in fantasy thus far and since I have read quite a few of these books, I feel confident in making a few recommendations. These books I have selected are those which stand out as being very enjoyable reads and i have given ratings of either 4 or 5 out of 5 stars. If you have read any of these books , please share your thoughts. GoodReads Summary: Children can have a cruel, absolute sense of justice. Children can kill a monster and feel quite proud of themselves. A girl can look at her brother and believe they’re destined to be a knight and a bard who battle evil. She can believe she’s found the thing she’s been made for. I was already in love with the cover and the synopsis but I fell in love with the prose and the writing style the author employed in this book. 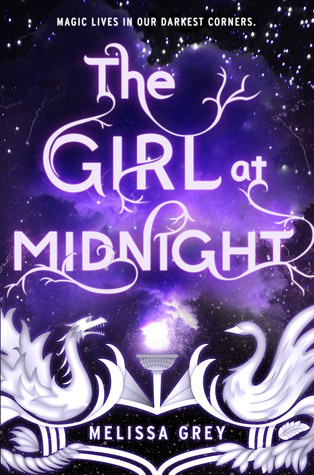 It is a YA novel so there was a bit of flirty romance and “foolishness” but not so much that it in any way devalued the story. I gave this one 4 out of 5 stars. This book has had both good and bad reviews but I totally enjoyed. It was not very deep but totally engrossing and there was enough action to make the story flow. There was even a couple plot twists which accounted for some tension which I think is necessary to stimulate interest. This earned 4 out of 5 stars. 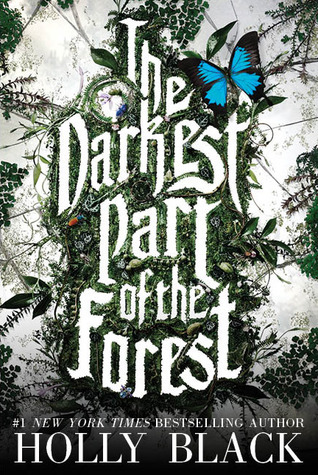 Goodreads Summary: Kell is one of the last Travelers—rare magicians who choose a parallel universe to visit. This book was awesome! I devoured it and I loved almost everything about it. I loved the idea of alternate Londons and the magic system was well thought out. I am looking forward to the second installment in this series scheduled to be released in 2016. I gave this a rating of 4 out of 5 stars but in reality it’s more like 4.5 stars. 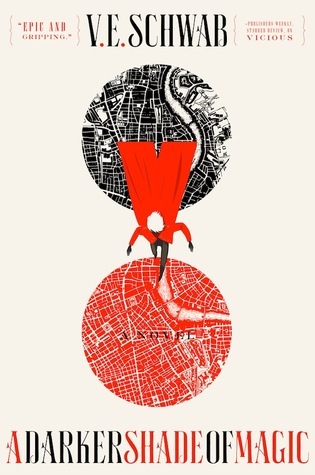 Goodreads Summary: Beneath the streets of New York City live the Avicen, an ancient race of people with feathers for hair and magic running through their veins. Age-old enchantments keep them hidden from humans. All but one. Echo is a runaway pickpocket who survives by selling stolen treasures on the black market, and the Avicen are the only family she’s ever known. I loved the female protaganist in this. The story took a turn that was not immediately obvious, which is always good. The magic elements were very welcome and I would most certainly re-read this once the second book in the series is released. I liked it that much. Rated 4 out of 5 stars. 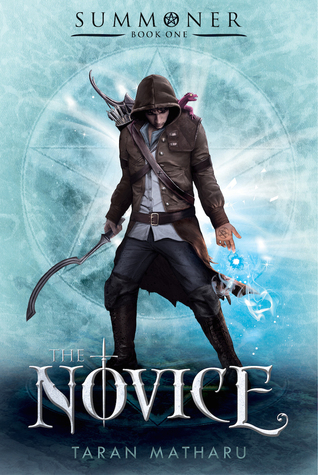 Goodreads Summary: When blacksmith apprentice Fletcher discovers that he has the ability to summon demons from another world, he travels to Adept Military Academy. There the gifted are trained in the art of summoning. Fletcher is put through grueling training as a battlemage to fight in the Hominum Empire’s war against orcs. He must tread carefully while training alongside children of powerful nobles. The power hungry, those seeking alliances, and the fear of betrayal surround him. 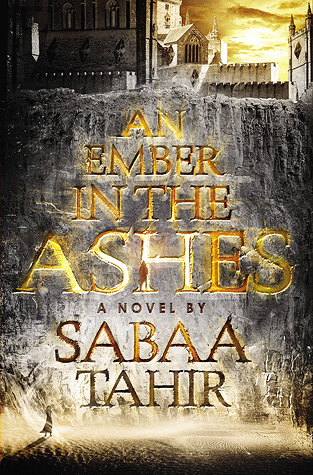 Fletcher finds himself caught in the middle of powerful forces, with only his demon Ignatius for help. 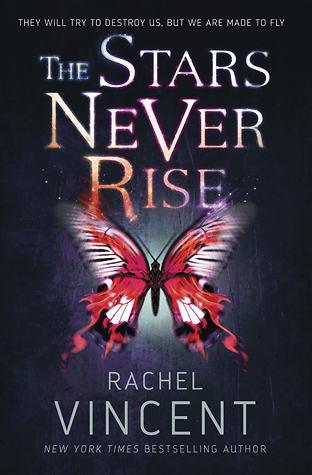 From the first time I saw the cover, I knew I was gonna love this book, and I did! There is magic, power struggles, inequality, intrigue, danger and action, and I have a feeling the sequel is going to be even better. Loved it! Rated 4 stars. 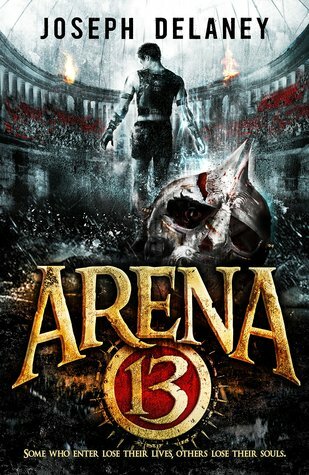 Goodreads Summary: Welcome to Arena 13. Here warriors fight. Death is never far away . . .
For he knows Hob’s crimes well. and at the heart of his ambition burns the desire for vengeance. Leif is going to take on the monster who destroyed his family. Even if it kills him.. The cover art is gorgeous. The character development was well done and I thought it to be a fresh take on the overplayed dystopian theme. I love Joseph Delaney’s writing style and I was confident that this would be an engaging read and it did not disappoint. Rated 4 stars. Goodreads Summary: Laia is a slave. Once I realised this book was about books and a library, I had to read it. But that’s not all. 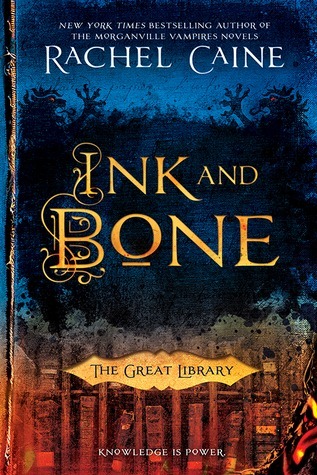 Steampunk elements, alchemy and book smuggling all add intrigue to this awesome book. I was well entertained and am looking forward to other books in this series. This one earned 5 stars! 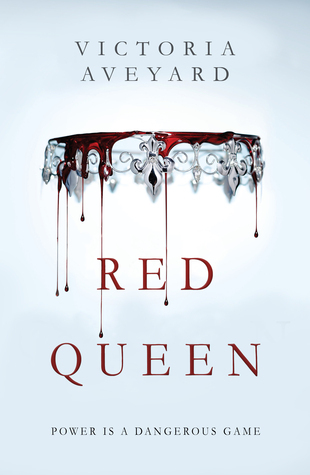 Goodreads Summary: Sixteen-year-old Nina Kane should be worrying about her immortal soul, but she’s too busy trying to actually survive. Her town’s population has been decimated by soul-consuming demons, and souls are in short supply. Watching over her younger sister, Mellie, and scraping together food and money are all that matters. The two of them are a family. They gave up on their deadbeat mom a long time ago. Demons..check! Newly discovered powers..check! Conspiracy…check! What better to have on your side than an exorcist with demons running loose? This was a very entertaining read which also highlights siblings and friends looking out for each other. Loved it. Rated 4 stars. With Fell Falls put firmly behind him, Tonmerion Hark has only one desire: to make his way east and once again feel the soil of his Empire under his boots. But blood has been spilt. Machinations of the powerful foiled. Scores have been scraped in the desert sand and now they must be settled. A new power is growing in London, and it pines for revenge. Now that both Tonmerion and Rhin find themselves being hunted over prairie and wasteland, he and his strange new family put their fate in the hands of a travelling circus, headed straight for the shores of the Iron Ocean, and a ship home. There is only one truth: all will be settled on the night of the Bloodmoon. Ben Galley is one of my favourite authors and he does not disappoint with this new installment in his Scarlet Scar Trilogy. 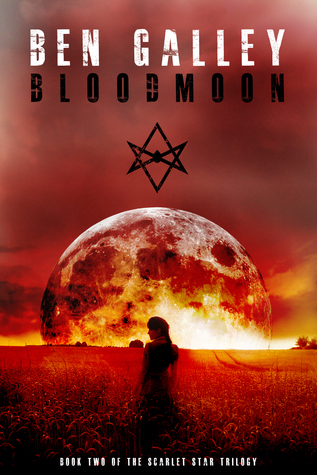 I binge read both Bloodrush and Bloodmoon and I am eagerly awaiting the last book Bloodfeud which he announced on his page as being finished. The main character has really evolved in this, and is not afraid to do what is necessary. He is learning to trust his instincts and is discovering the extents of his gift. The magic system is quite unique and very well thought out. I loved , loved, loved this!! 5 out of 5 stars. 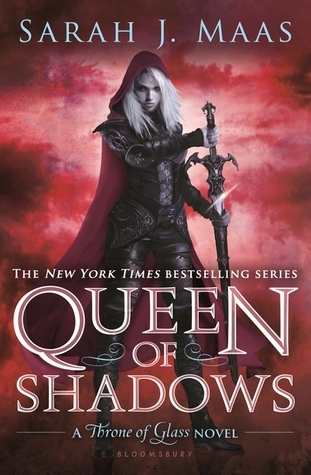 Goodreads Summary: Everyone Celaena Sardothien loves has been taken from her. But she’s at last returned to the empire—for vengeance, to rescue her once-glorious kingdom, and to confront the shadows of her past . . .
For a free copy of Bloodrush(The Scarlet Star Trilogy #1) by Ben Galley, visit his webiste and subscribe to his mailing list. I’m not sure how long this offer lasts so head on over soonest if you are interested.